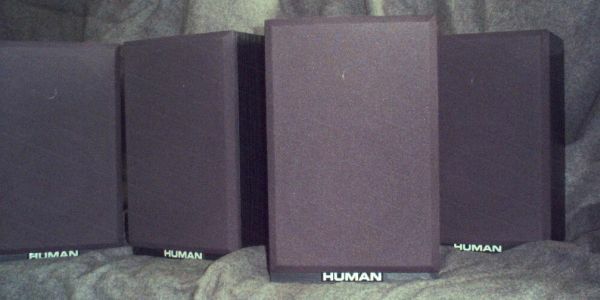 The HUMAN QT-1+ was developed to meet the need for a great sounding inexpensive speaker. 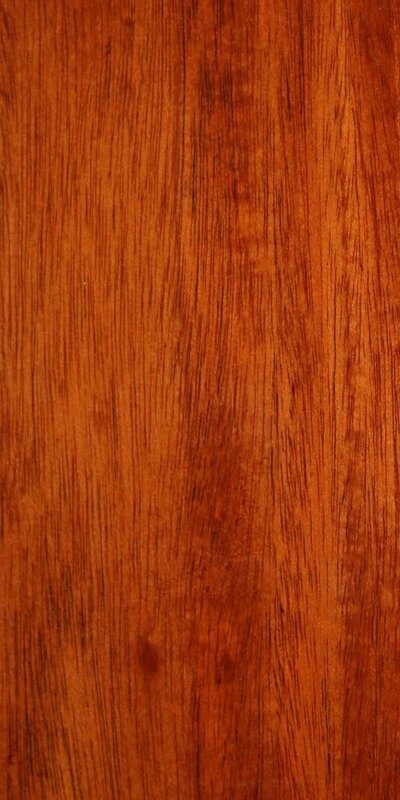 They are a perfect alternative to the low quality products frequently available through mass market outlets. This level of quality at this price is only possible because I sell them factory direct to you, the customer. The cabinets are well made and solid, with an attractive "black ash" vinyl finish. I build a specially-designed woofer that goes low cleanly while doing a nice job of reproducing the lower midrange tones. The tweeter I use is a sweet and delightful French 3/4" dome unit. It has been copied many times but the original is still the best. 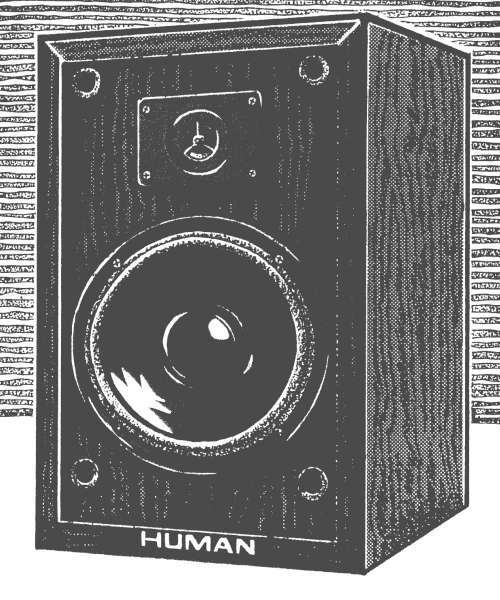 These make great speakers for small rooms, spaces where power demands are not great, and computer sound applications. 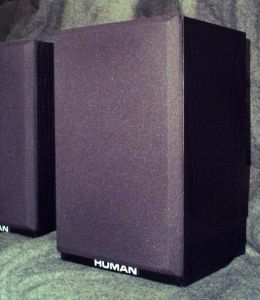 They are just right as extension speakers in a second room away from your main stereo. They are perfect if you are used to good sound, and need some smaller speakers somewhere, anywhere! My poor friends who wish they could afford more will often buy a pair of these until they get real jobs, and then they will have me make them some 81's or 81-10's, and then put these in the bedroom or kitchen (mine are in the bathroom). It works for us, and I bet it will work for you. In these photographs the grilles look lighter than in reality. They are as black as the boxes.